One cosmetic dental treatment to change your smile quickly and safely is with professional teeth whitening. If your teeth are stained or look dull, it can make your smile look older and less attractive. Bleaching away the stains can brighten your smile and have a positive impact on your overall appearance. 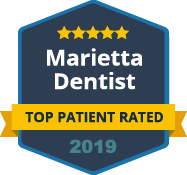 Our dental team at Dental Care Center at Kennestone can help you get a whiter smile in as little as one visit to our office in Marietta. Teeth do not stay white without a little help. Smoking or using tobacco products can yellow your teeth. Beverages like coffee, tea and red wine leave dark stains behind. To keep your teeth white and looking healthy as you get older, whitening products may be needed. However, not all whitening gels, strips or toothpastes are the same. There are many retail products you can buy over the counter that claim to whiten teeth. Some are effective, but not all are safe for your teeth. Some can cause sensitivity and other dental issues. When it comes to whitening your smile, leave it to the dental experts and choose professional teeth whitening. At Dental Care Center at Kennestone, we offer Opalescence for our patients that want to whiten their smile. This professional-grade whitening system is safe and fast, reducing the chance of sensitivity or damage to your teeth. With in-office teeth whitening, you can have a bright, white smile in less than an hour. This is perfect for when you have an important event or just want a quick change for your smile. We also have at-home tray whitening systems you can use to brighten your teeth over a few days or maintain your whitened smile. 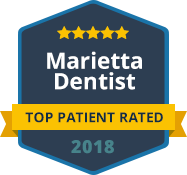 If you want a quick option to improve the beauty of your smile, try professional teeth bleaching at Dental Care Center at Kennestone. Contact us today to schedule your smile whitening appointment.